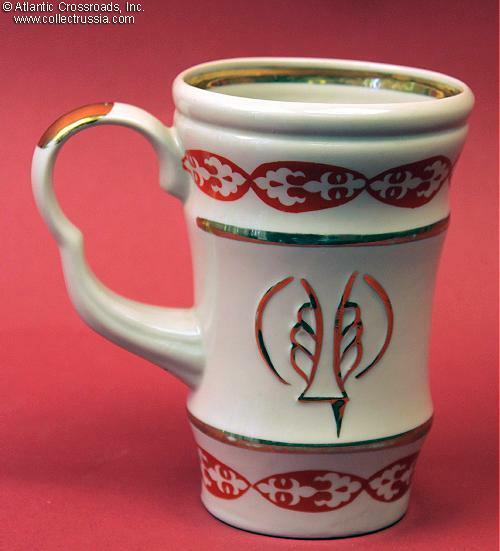 Presentation Cup by the Tselinograd Porcelain Factory, dedicated to the 10th Jubilee of the factory, circa 1972. 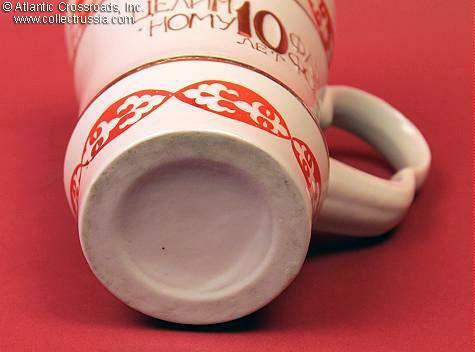 Presentation Cup by the Tselinograd Porcelain Factory, dedicated to the 10th Jubilee of the factory, circa 1972. Shows factory logo in gold. 5 ¼" tall, 3 5/8 " diameter at the widest point. 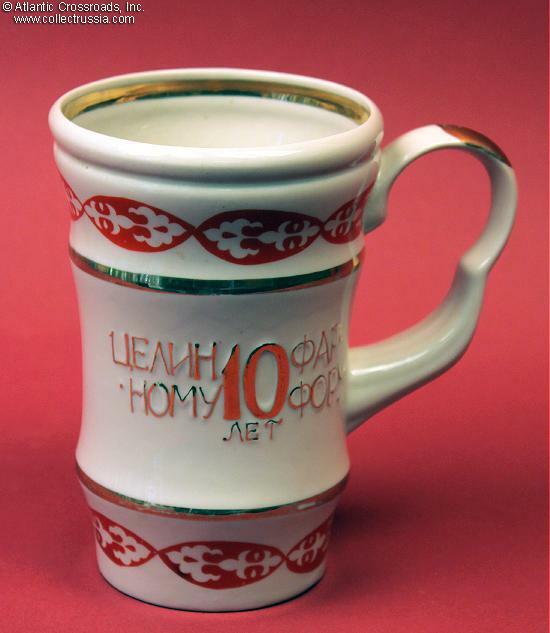 One side shows inscription: "10th Anniversary of the Tselinnyi (Virgin Lands) Porcelain" and reverse displays a large factory logo in gold. No maker mark on the bottom. Excellent condition. This unusual item by a relatively obscure Soviet factory may be of interest to an avid collector of esoteric Soviet porcelain.